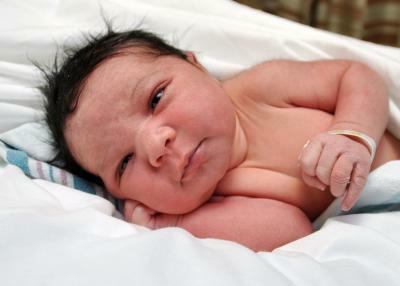 Antoine and Gloria (Rettig) Washington announce the birth of their daughter, Blake Erin Washington, born Sept. 18, 2015, at Rust Medical Center in Rio Rancho, New Mexico. Blake weighed 8 pounds, 6 ounces and was 21 1/2 inches long. She joins siblings Jacie, 13, Brycen, 10, and Ryen, 1. Grandparents are Elmer and Amy Rettig of Stewart and Sharon Washington of Florence, Kentucky. Great-grandmother is Frances Loncorich of Stewart.